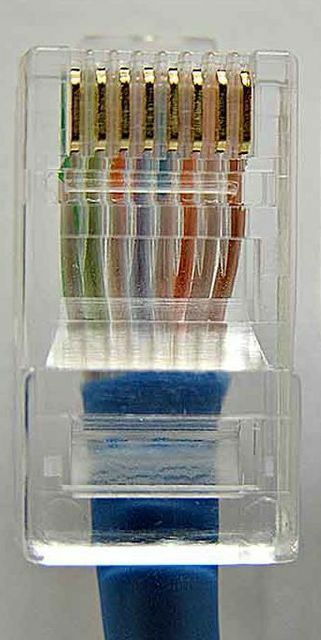 Cat 6 (Category 6) is a cable standard used mainly for Ethernet computer networking, security systems, and telephone services. 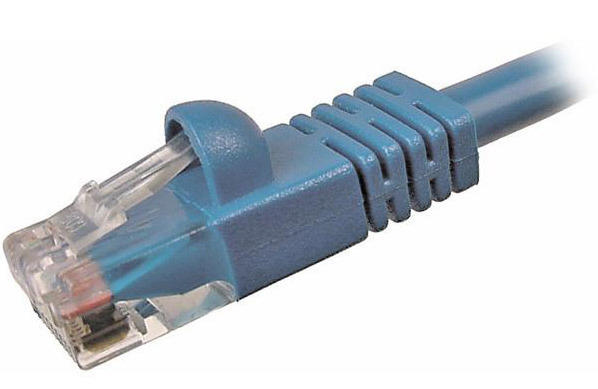 Cat 6 cable is backward compatible with the Cat 5, Cat 5E, and Cat 3 cable standards. Category 6 cable is capable of transmitting voice and data up to 155 Mbps (mega bits per second), with possible transmission frequencies up to 550 MHz. Cat 6 carries Ethernet 10Base-T, 100Base-TX, and 1000Base-T (Gigabit Ethernet) connections. Cat 6 cable is backed with more stringent specifications for crosstalk and system noise than earlier cabling standards. Category 6 cables come with four twisted copper wire pairs and each twisted pair is built of larger 23 gauge copper. The earlier model, Category 5, used 24 gauge copper wires. In wire gauges, a larger number indicates a smaller wire. 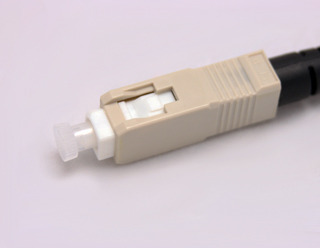 Cat 6 cables are generally terminated with RJ-45 electrical connectors. The signal path’s performance will be limited to that of the lowest category if components of the various cable standards are intermixed. The maximum length of one Cat 6 cable segment is 220 meters. A repeater needs to be installed to send data over longer distances or data loss may occur. Installing Cat 6 cable is thought to be more difficult than Cat 5 or Cat 5E. The main reason behind this is that the conductors are twisted more tightly in Cat 6 cables, which makes it more difficult to split them apart. Other than this, everything else is essentially the same as installing Cat 5 or Cat 5E cables. Cable manufacturing companies provide jacks and panels with much sharper teeth so as to help divide the conductors into pairs and complete the Cat 6 installation cables easily. However, while installing Cat 6 cables it is advisable to take little more time and perform the installation correctly without damaging one’s fingers. When comparing Cat 5E and Cat6, the main difference is in the transmission performance and available bandwidth extension, 100 MHz for Cat 5E and 200 MHz for Cat 6. This includes better insertion loss, near end crosstalk, return loss, and equal level far end crosstalk. Due to its improved transmission performance and superior immunity from external noise, systems operating over Cat 6 cabling will have fewer errors when compared with systems operating over Cat 5E cabling. That is, systems using Cat 6 networks will have higher reliability than Cat 5E networks due to fewer re-transmissions of corrupted or lost data packets. 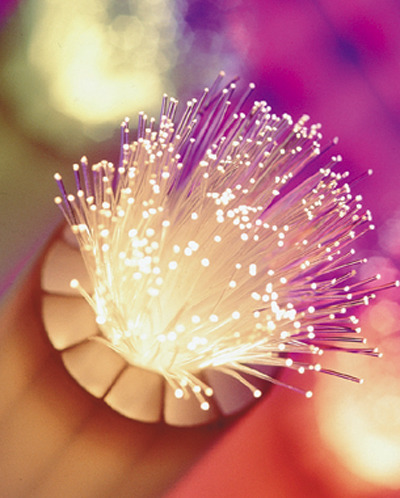 According to technical experts, the use of Cat 6 cables will supersede Cat 5E cables in the near future. The fact that Cat 6 link and channel requirements are backward compatible to Cat 5E makes it very easy for customers to select Cat 6 in their networks. 😀 Good article. But is the stated maximum lenght 220 meters mean two swicthes can connect well or PC to switch over that distacnce? They used to state 100 meters for cat5 and cat5e but one couldnt connect well on the LAN if the distance was more than 70 meters. @Philip, I’ve seen cat5e cables run at 160 meters before, pretty unreliable though. Can’t really say I’ve had any problems with lines under 100m, usually I don’t start having issues until 120m or so. 238 queries in 0.299 seconds.